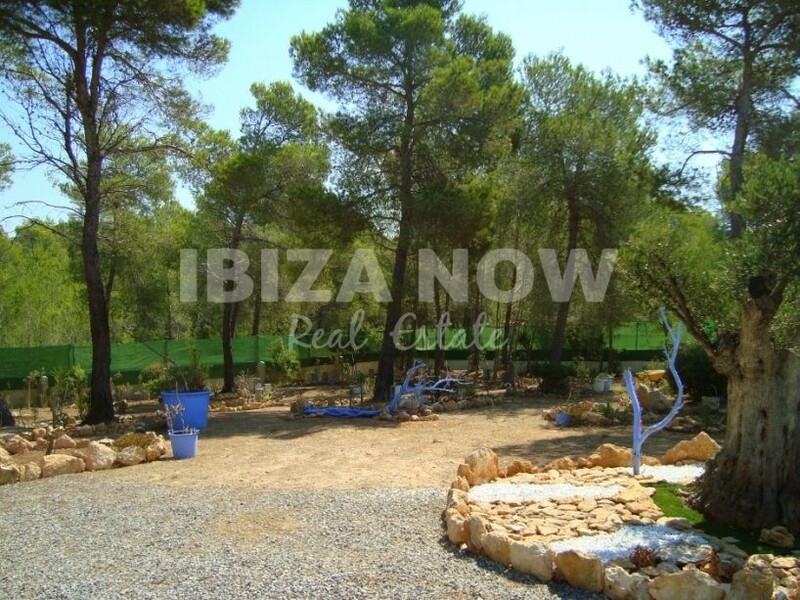 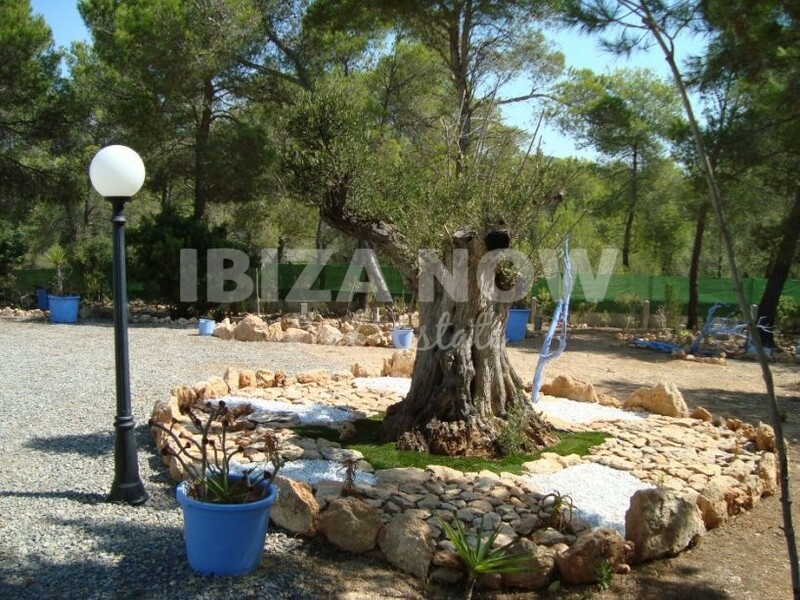 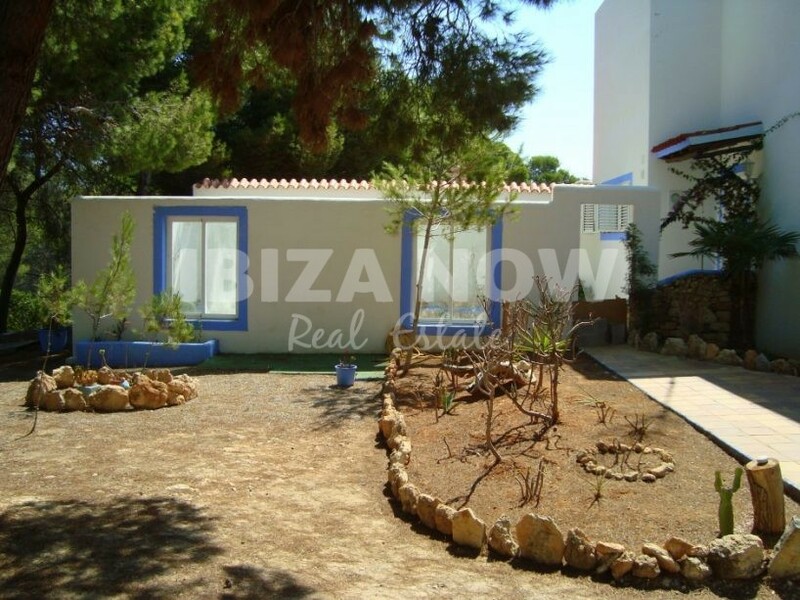 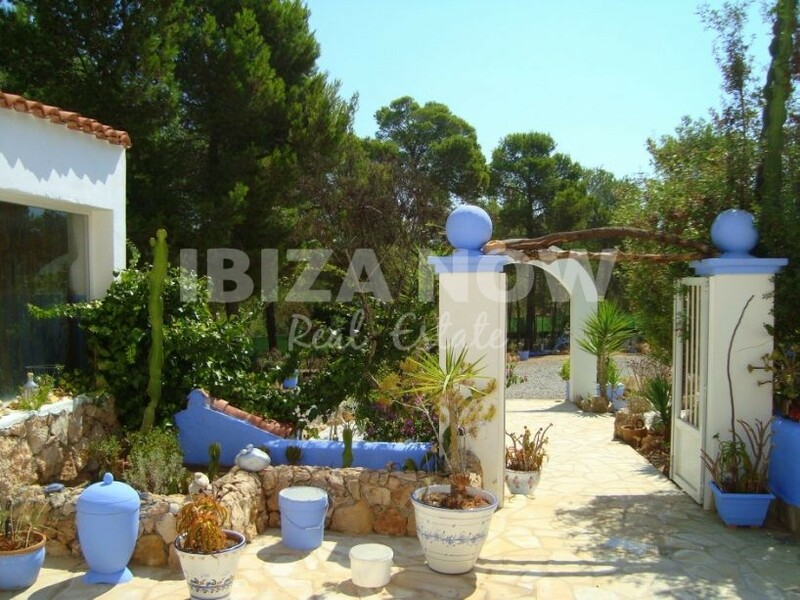 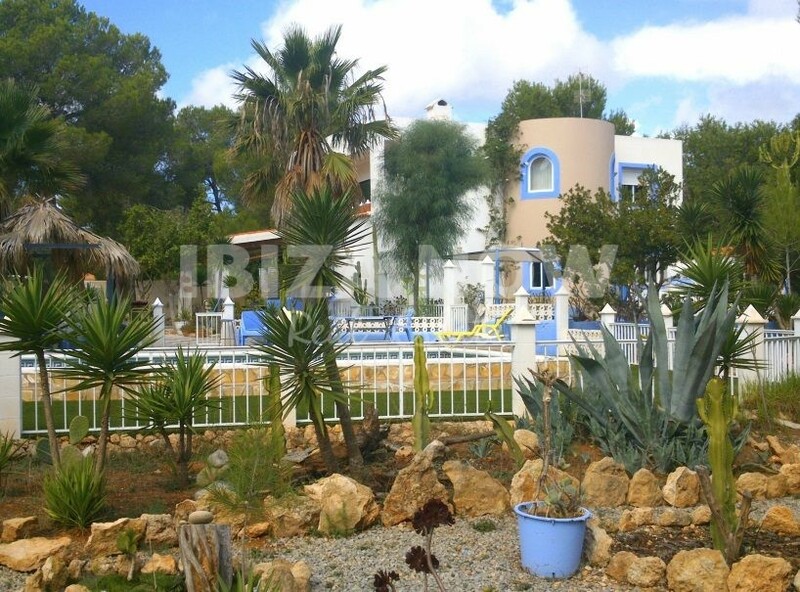 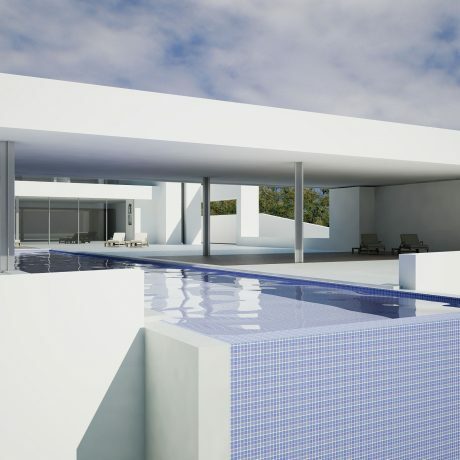 Large 5 bedroom villa for sale in Es Cubells, Ibiza. 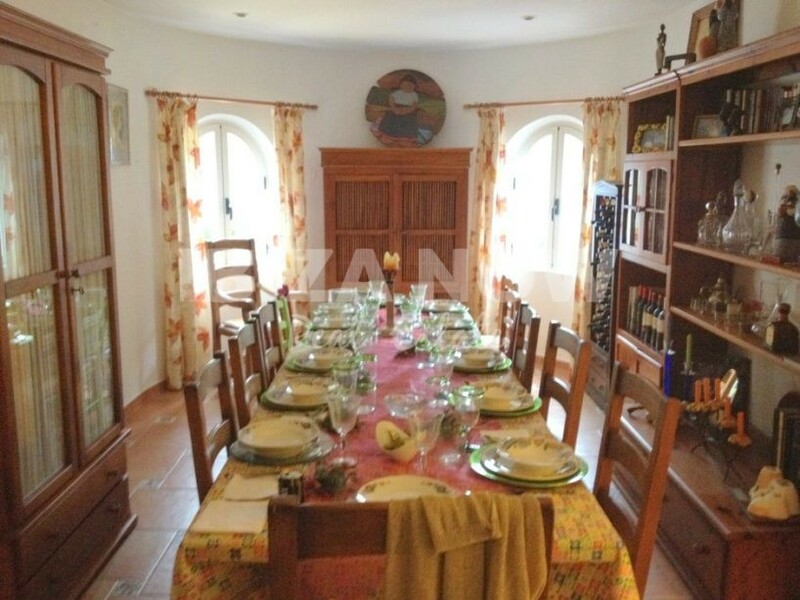 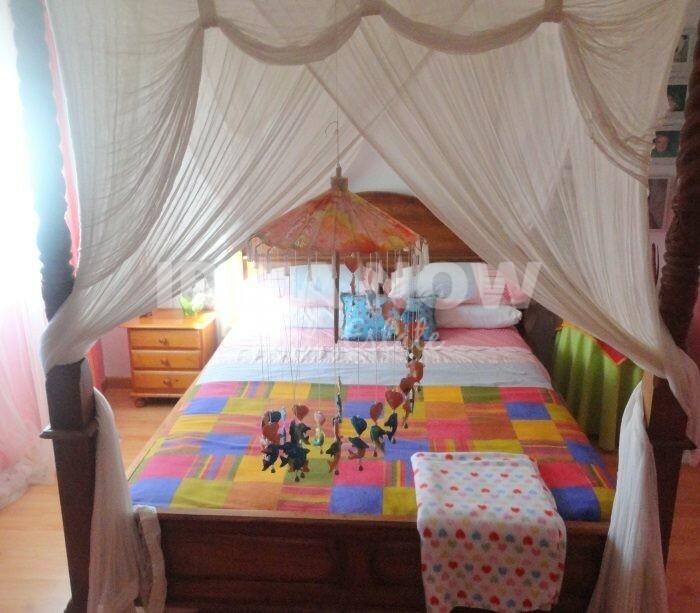 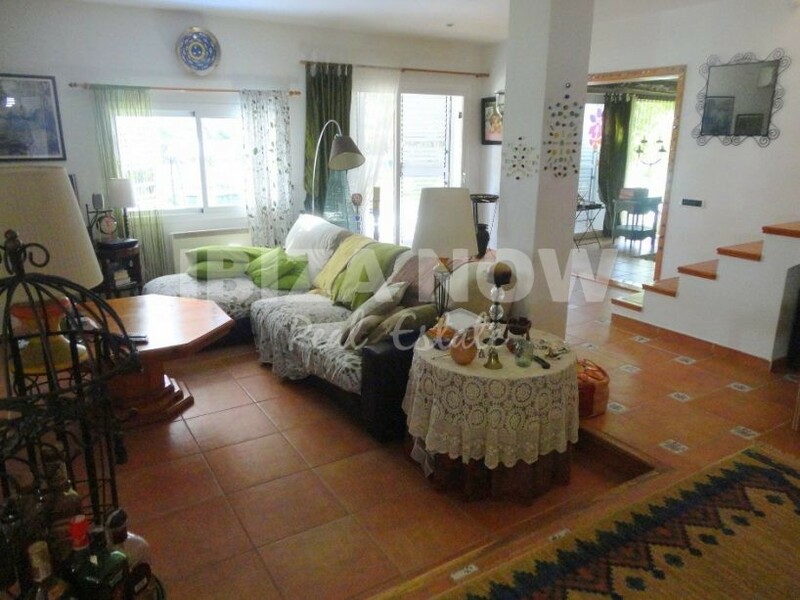 This large 5 bedroom villa is located in a quiet area between Es Cubells and Es Torrent. 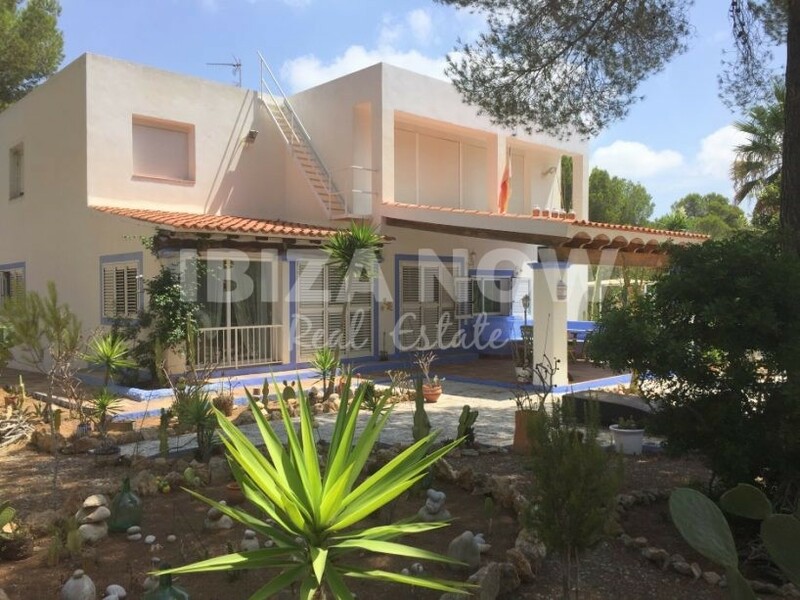 Built on a flat plot of 5000m2 and with a 300m2 built house. 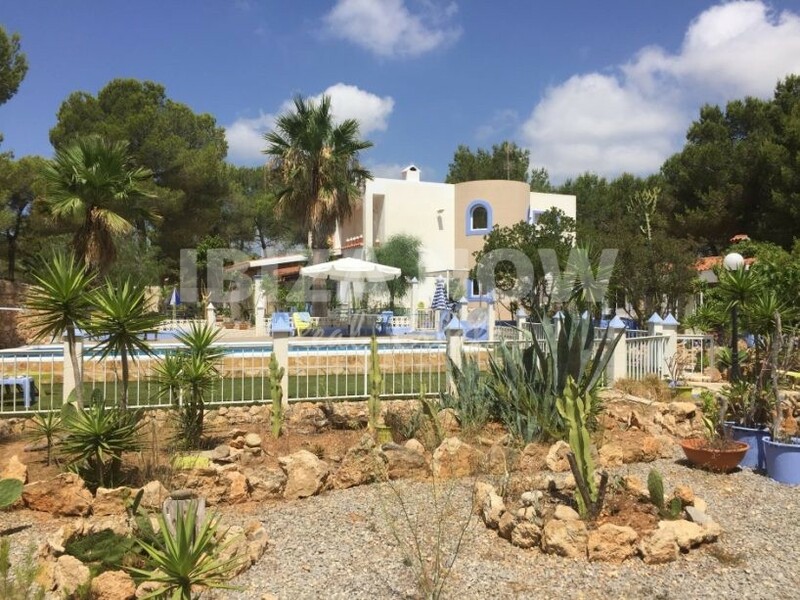 This property has huge potential to be turned into a fantastic property. 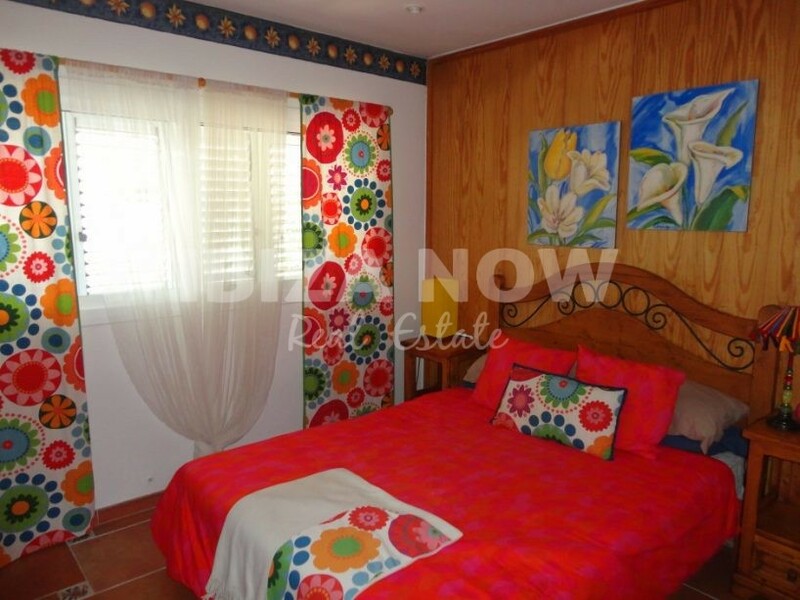 In need of modernization but with a very solid structure and good clean areas. 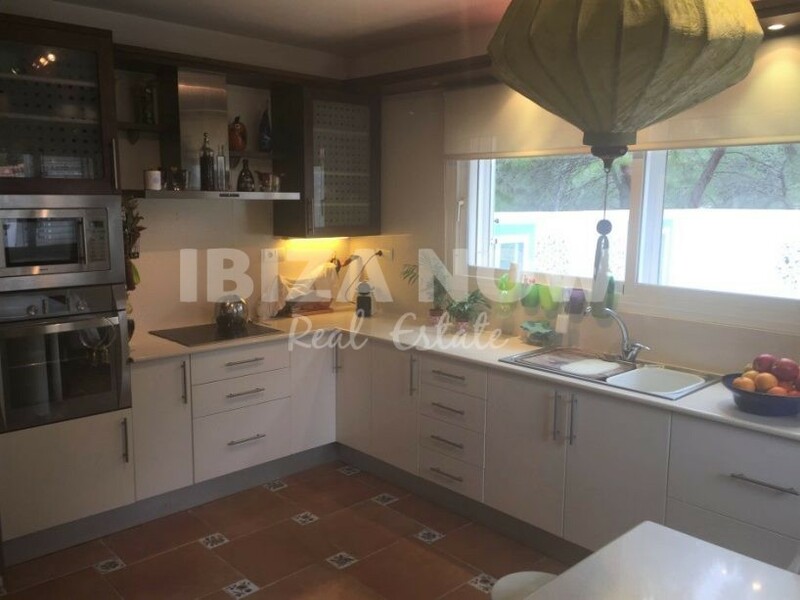 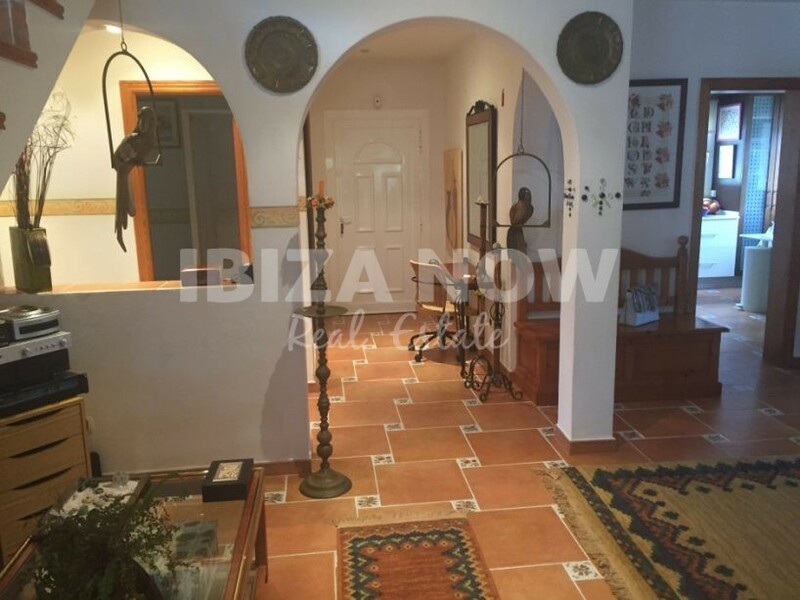 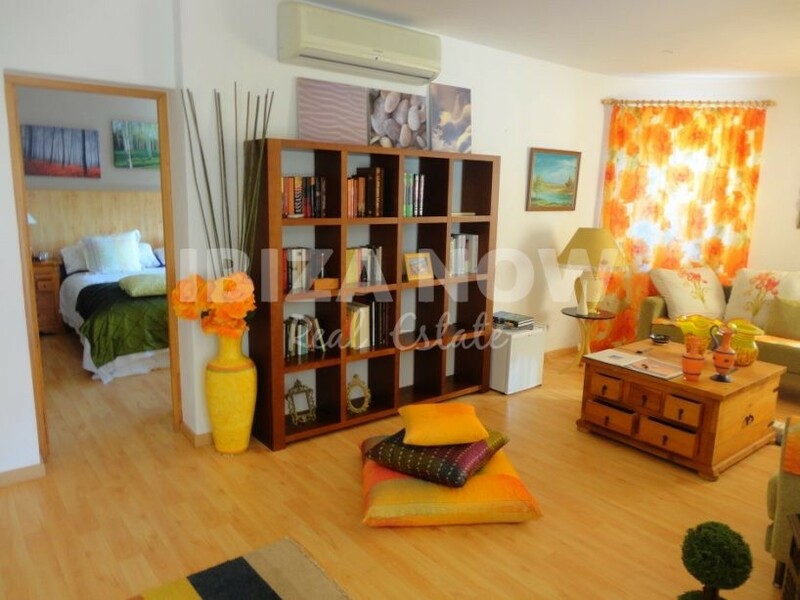 The house has 2 floors, on the ground floor we find the kitchen area with direct access to a nice Andalusian style patio, open plan living and dining area, large office space, 2 double bedrooms, and a bathroom. 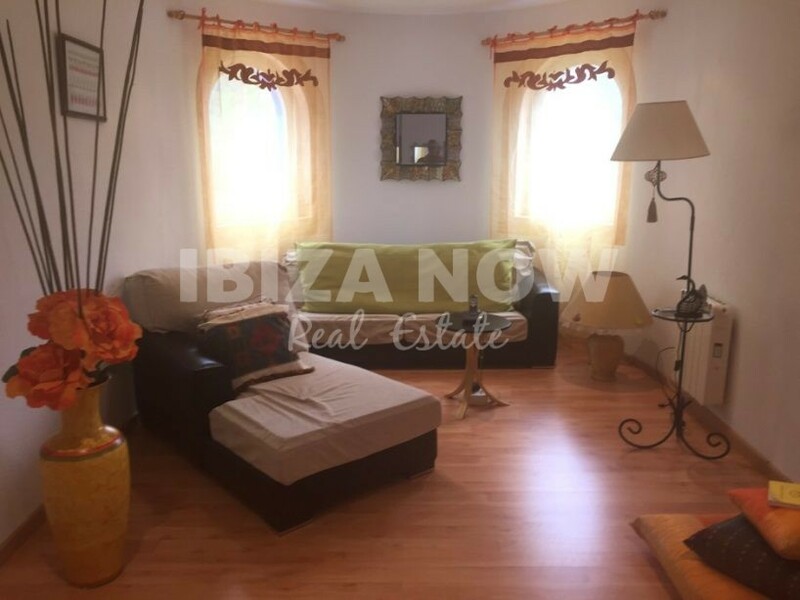 On the first floor, we come into a large and bright open area with a sitting area and office space with a large terrace, then we have the master bedroom with walk-in closet and bathroom plus another 2 bedrooms. 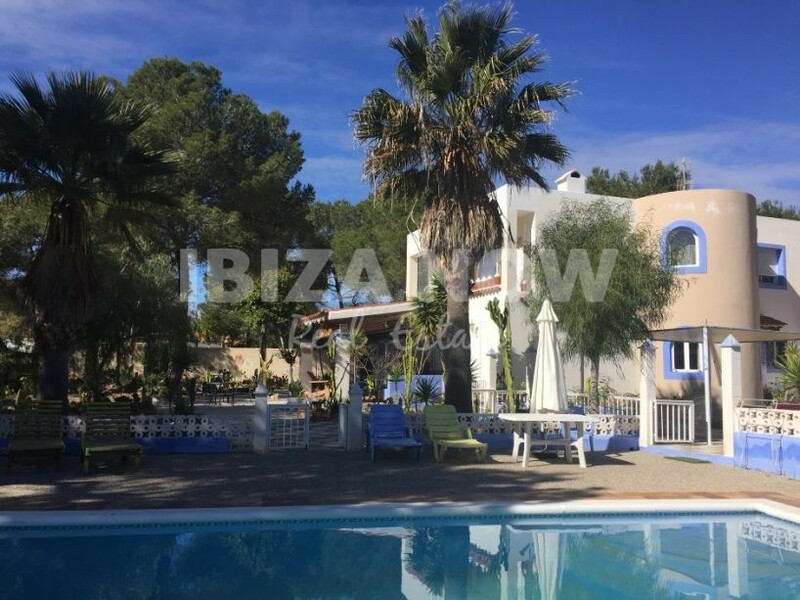 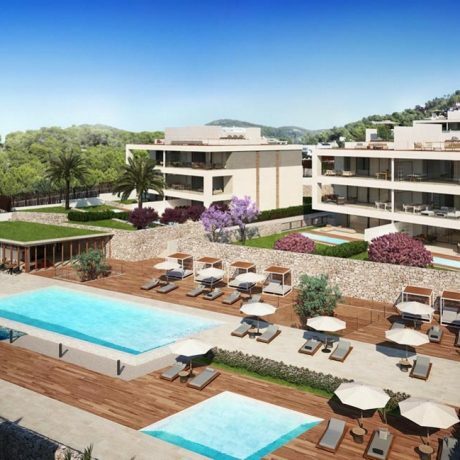 As for the outside area, here we find a good size swimming pool (10×5) and many different chill-out areas plus an outdoor kitchen and bbq area with bathroom. 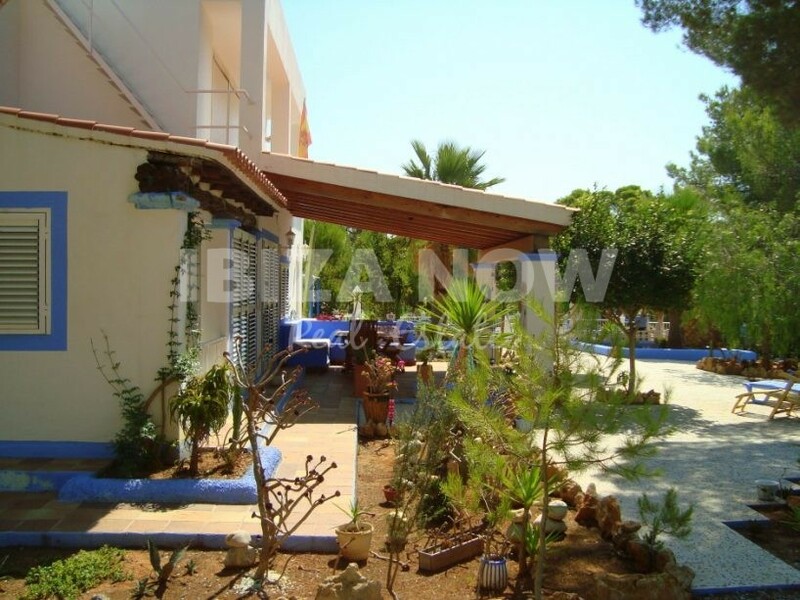 Plenty of space for outdoor activities or creating your own fruit&vegetable garden. 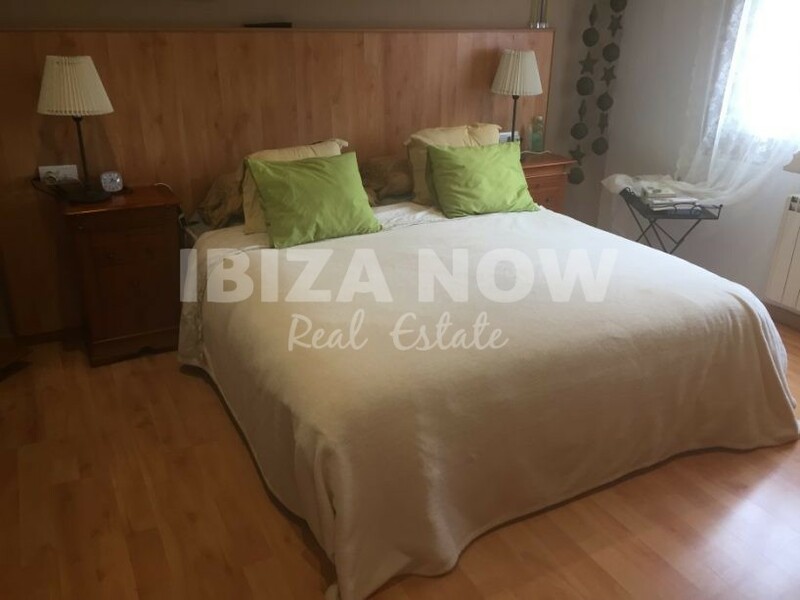 The house has water from the mains as well as a large cistern, furthermore, the house has double glazed windows, air conditioning warm and cold, central heating, fireplace, alarm, and Wifi. 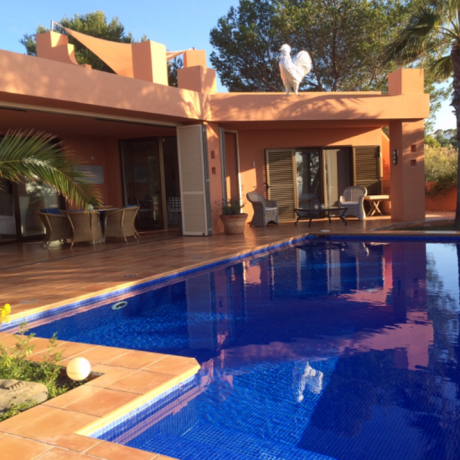 The beach of Es Torrent and Cala Yondal are just on a short drive from the house. 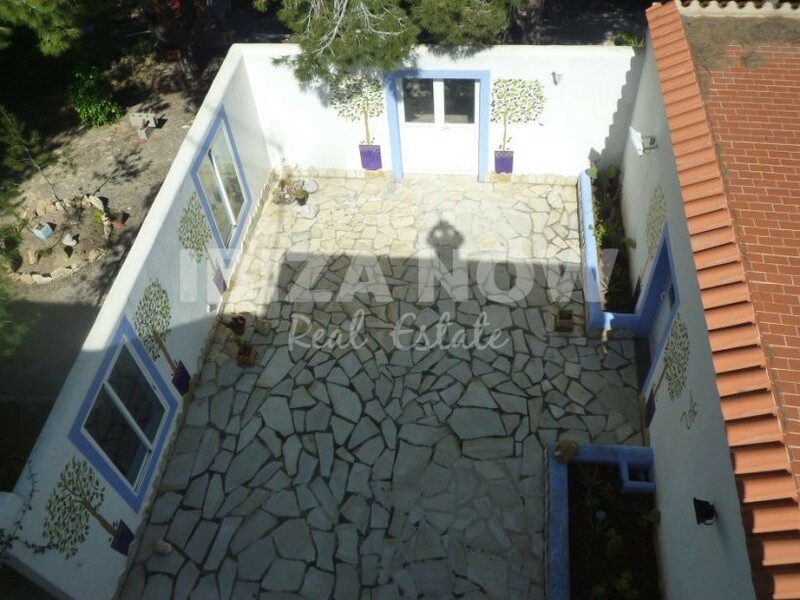 A house with potential in a great area!